When launching Alliance now, you'll be presented with an initial screen that lets you choose between the co-op mode and the PvP mode. 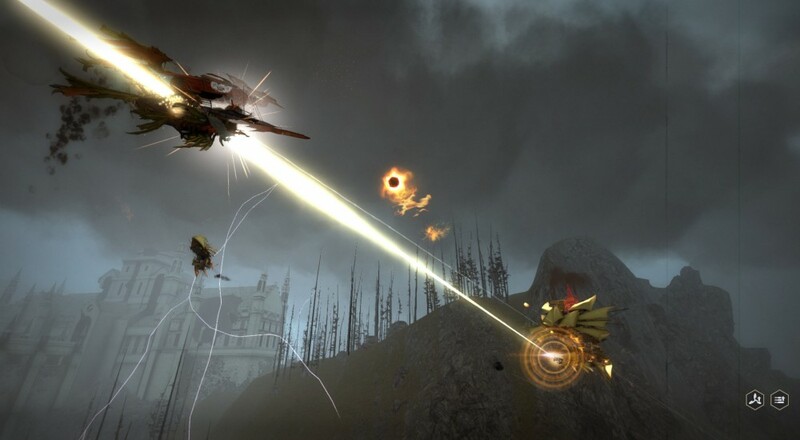 Once you're in co-op, you'll be able to go through and do all the customization that you want; choose your faction, stylize your in-game avatar, outfit your ship, etc. Locke, Nick, Mike, and I certainly had some fun making some... unique characters when we checked out the Beta a couple months ago. The game has definitely gotten a little more polish since then and some of the faction/quest stuff is easier to parse, and you can also choose a map size (from one to four ships) in your custom matches if you don't have a group of 16 friends with which to play. 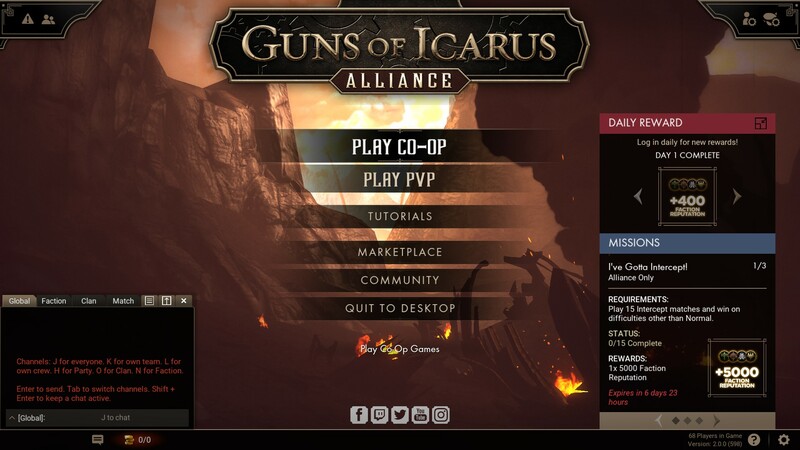 Guns of Icarus Alliance is available via Steam now. It supports up to 16 players online, four players per ship, but you can also create custom matches with fewer players and fill in empty crew spots with A.I. teammates.